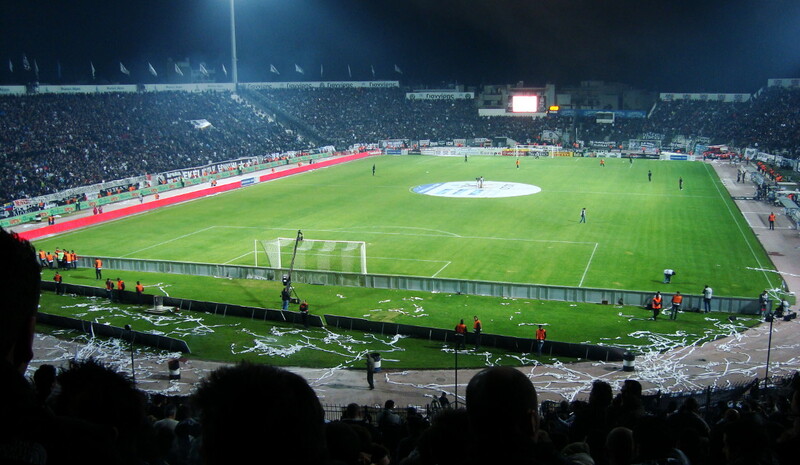 Toumba Stadium was built in the late 1950s after PAOK’s ground in the centre of Thessaloniki had become too small for the club. 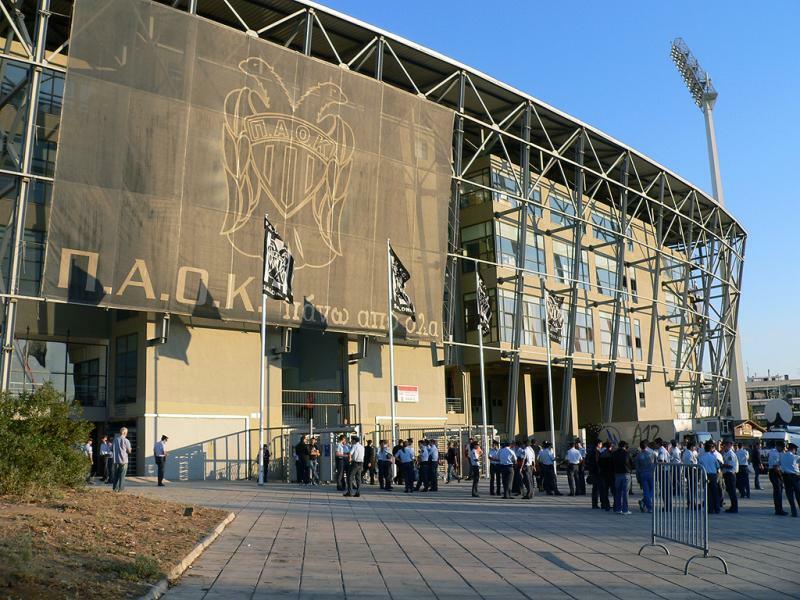 Toumba Stadium officially opened on 6 September 1959 with a friendly between PAOK and AEK (0-1). Initially the stadium counted with 20,000 places, but this was soon expanded to a total of about 45,000, and on 19 December 1976 the stadium recorded its highest attendance when 45,252 people attended a match between PAOK and AEK. In the mid-1990s, capacity of the stadium decreased again as a result of the installation of seats in place of the terraces. A last series of renovations, including the addition and improvement of VIP facilities, were performed in 2004. Toumba Stadium is located south-east of Thessalinki’s city centre. It lies almost 3 kilometres from the characteristic White Tower, 3.5 kilometres from Thessaloniki’s central Aristotelous Square, a few hundred metres more from the port, and about 5 kilometres from the central railway station. The stadium can be reached by car by taking exit Toumba from the semi ring road that circles the city along its eastern border. Driving straight on south after leaving the motorway will bring you within a few blocks of the stadium (which will be on your right). However, as the stadium is located in a dense urban area with a lot of one-way traffic, it may be difficult to precisely locate. Bus 12 and 14 connect the stadium with the railway station and city centre. Line 12 can also be taken from Aristotelous Square and from the nearby White Tower. Line 14 follows the large Egnatias Avenue. Get off at either Gipedo PAOK (line 12) or Agia Varvara (line 14). Toumba Stadium is located in a dense residential neighbourhood, which means that it won’t be too hard to find the odd local bar or restaurant. Thessaloniki has the reputation to have a great nightlife though, and eating and drinking can therefore better be done in central Thessaloniki or on the waterfront. There are no hotels directly near Toumba Stadium, but a few on the coast at 20 to 30 minutes walking from the stadium such as Queen Olga Hotel and Makedonia Palace. Otherwise, there are plenty of options in Thessaloniki’s city centre. 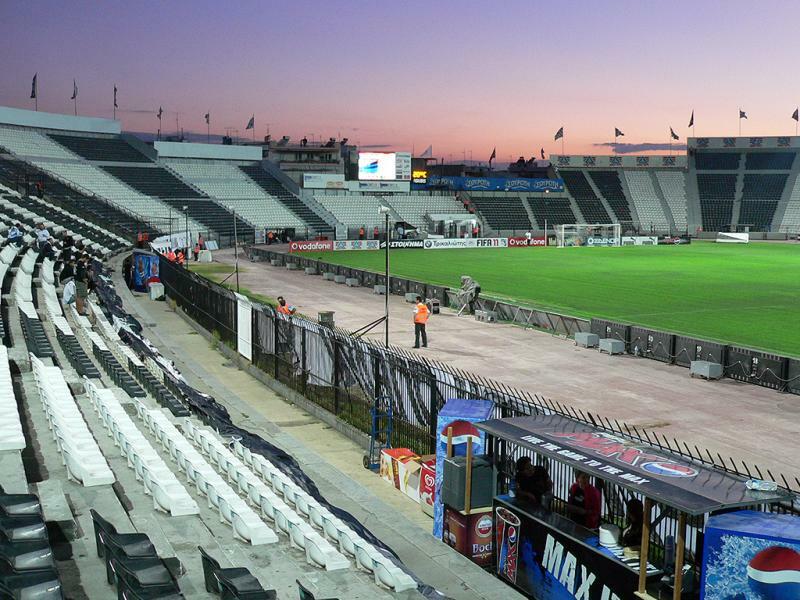 Tickets for PAOK FC games can be bought online, or at the PAOK boutique and ticket office at the stadium. 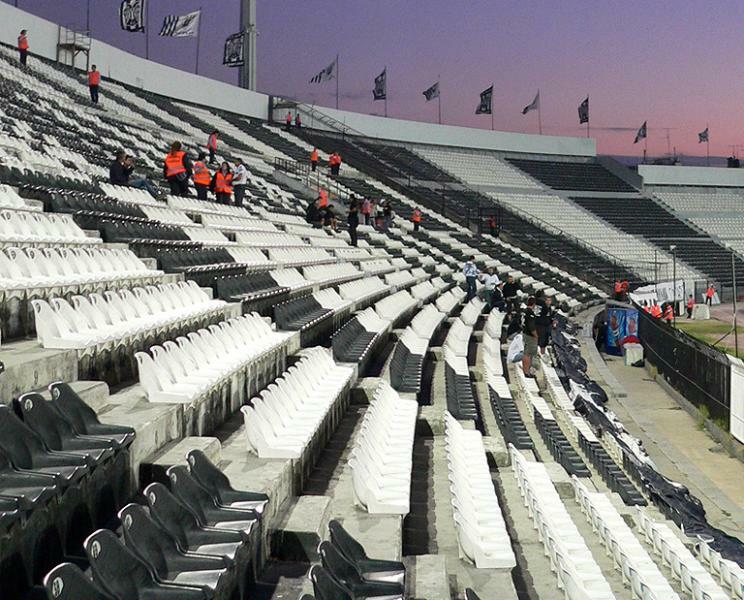 PAOK FC only very occasionally sell out a home match. Ticket prices depend on the opponent, but typically range in price from €10.00 for a seat at the curves to €30.00 for a central seat at the main stand. Paokfc.gr – Official website of PAOK FC.